Skipton and District Hospital League(?) 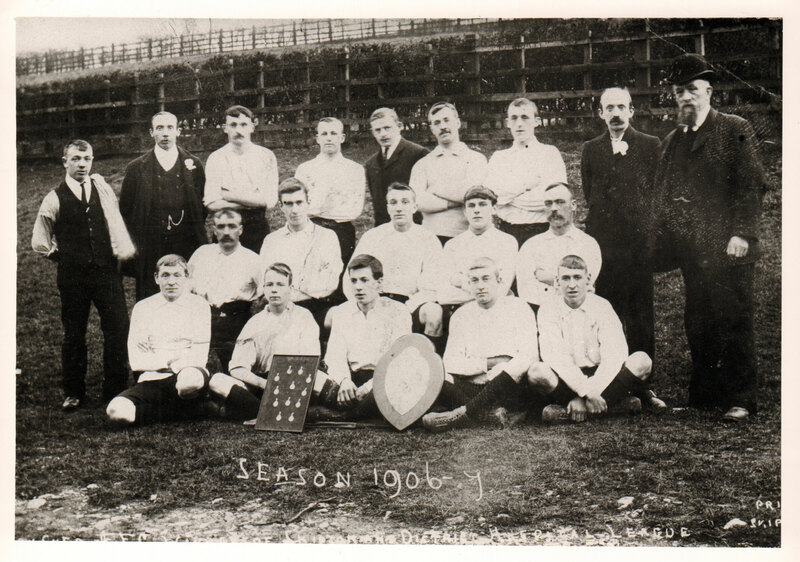 football team photo, 1906-07. With trophy shield and medals.